The Chronicle of Henry of Livonia, written by a missionary priest in the early thirteenth century to record the history of the crusades to Livonia and Estonia around 1186-1227, offers one of the most vivid examples of the early thirteenth century crusading ideology in practice. Step by step, it has become one of the most widely read and acknowledged frontier crusading and missionary chronicles. Henry's chronicle offers many opportunities to test and broaden the new approaches and key concepts brought along by recent developments in medieval studies, including the new pluralist definition of crusading and the relationship between the peripheries and core areas of Europe. While recent years have produced a significant amount of new research into Henry of Livonia, much of it has been limited to particular historical traditions and languages. A key objective of this book, therefore, is to synthesise the current state of research for the international scholarly audience. The volume provides a multi-sided and multi-disciplinary companion to the chronicle, and is divided into three parts. The first part, 'Representations,' brings into focus the imaginary sphere of the chronicle - the various images brought into existence by the amalgamation of crusading and missionary ideology and the frontier experience. 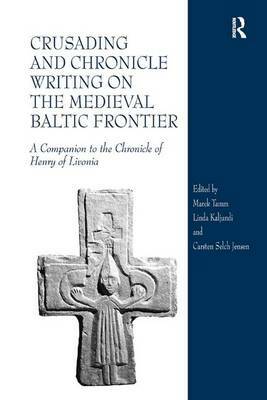 This is followed by studies on 'Practices,' which examines the chronicle's reflections of the diplomatic, religious, and military practices of the christianisation and colonisation processes in medieval Livonia. The volume concludes with a section on the 'Appropriations,' which maps the reception history of the chronicle: the dynamics of the medieval, early modern and modern national uses and abuses of the text.